Set deep in Limpopo’s Karongwe Game Reserve, Chisomo Safari Camp has a supreme position overlooking the Makhutsi River. 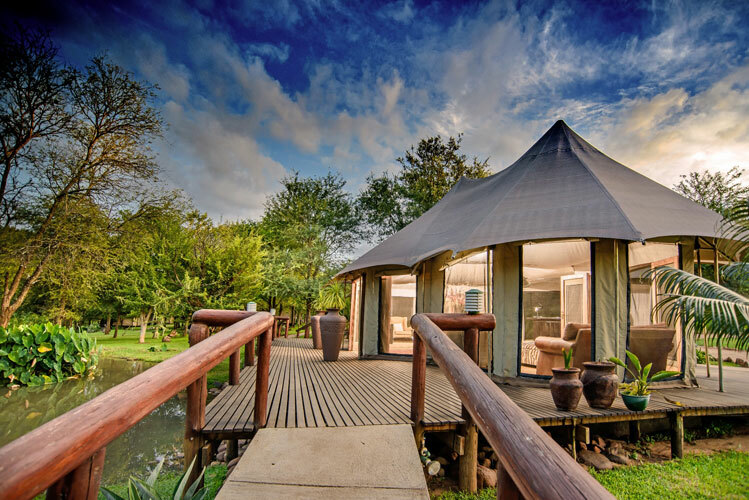 22 Tented safari suites are built on stilts and canopied by ancient trees along the river bank, where you have every chance of seeing the Big Five from your own deck. Additionally, guided safaris depart each day at daybreak and again in the late afternoon, returning after dark. Feast on mouthwatering Pan African meals in enchanting bush surroundings. Accommodating children of all ages and providing specific children’s activities at Little Paw Centre, Chisomo is an appealing option for families. Children: All Ages. Kindly note that children under 6 are not permitted on game drives. There's currently no specials at Chisomo Safari Camp. 40 Guests can be accommodated for conferences.